Anybody searching for the best photo apps for your phone is likely tired of using apps like Instagram, and might instead prefer one of the best photo applications with a little bit more twists and new features. 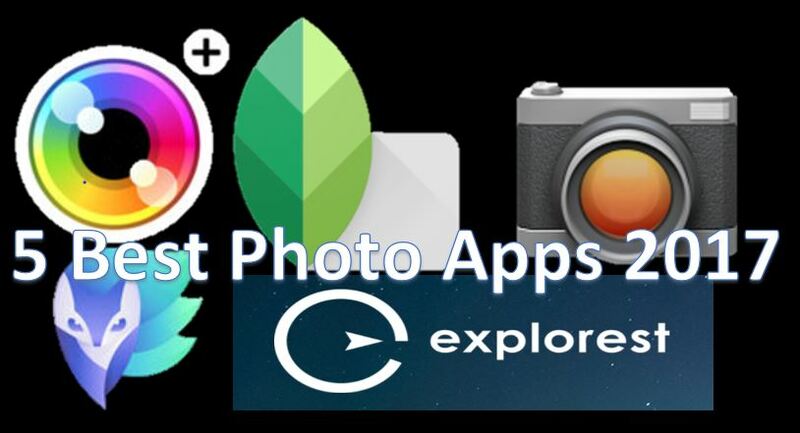 After doing plenty of research and trying out new apps for my own, I have compiled below the 5 best photo apps which, in my opinion, are also the best for 2019 as a whole. With many of the manual camera features that you love, you can’t go wrong with purchasing the Camera+ application. You may have already heard of it, or perhaps even own it already, but its continued updates and competitive features make it still one of the best photography applications in 2019. 16 different scene modes offer plenty of clarity options Outside of capturing and editing pictures, this application doesn’t bring anything new to the table. Included picture edit interface can do most basic edits that you would find on a computer program. Affordable for anybody who is serious about having an upgraded camera application. 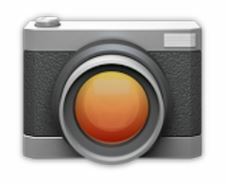 This application also has continuous flash and a macro mode which helps you use the more advanced features easily. If you are an iPhone user who has been stuck using the stock camera application, you are truly missing out on one of the best picture apps available. Featuring a high-quality camera and a pretty solid photo editor as an all-in-one package, the Camera JB+ is arguably the best camera and photo editor app available on Android. 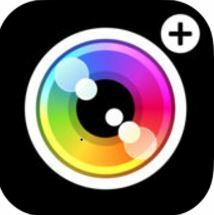 Very similar to the Camera+ app on iPhone, this application offers you everything that your stock camera application can do and more. Picture quality will always be boosted to the detail-oriented and wide selection of edit features and functionality. Doesn’t offer any groundbreaking features that can’t be found on of the other best photo applications. Can edit photos and videos. Costs less than a meal. Although you likely won’t be blown away by the quality of your new photos upon purchasing this app, it is still capable of turning nothing into something to create a decent shot for every photo using the applications’ editing tools. If you are looking for one of the best photo applications for android that is capable of doing many of the features that premium apps in this category have, this is a great option. An all-in-one quality photo editor is really hard to come by, or at least if we are talking about an iPhone application. 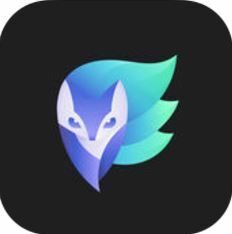 If you want to use one of the best photo apps for iPhone and specifically want a good photo editor, you might like Enlight, which is almost like having Photoshop on your iPhone. Wide range of features makes it seem like you have a copy of Photoshop in your pocket. Doesn’t assist in photo site selection, something that a novice photographer might like. Although Photoshop is still easier to use, I don’t mind using this app on the go while looking through some pictures from my travels.Capable of using filters, advanced image options, brush tools, patch tools, black and white conversion, drawing conversion, and a load of other tools that you would typically find on TV, this app is a heavy-hitter, and one of my personal favorite editing apps to use. 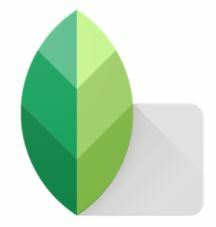 If you are looking for the best photo filter app and you have an iPhone, you really need to check out Snapseed. Featuring over 29 tools and filters, and a wide array of features, this application’s functionality, and features easily make it stand out as the best photo filter application in its class. Filters are customizable, and there are also plenty of presets available. Improves upon, does not make your camera itself better. Can also create memes, edit photos, and help you add your personal touch to each image. The included photo editor on Snapseed is also capable of doing most of the features that you might have come to expect from PhotoShop, making this application very attractive and one of the best photo applications. If you want one of the best photography applications that can also be versatile and capable of adapting styles, features, and so on, this option presents a rare opportunity for you to do so. If you are searching for the best overall photo application, your top-choice should hands-down be the Explorest App. This application is a photographer’s dream app for creating the perfect shot and provides location insights at the palm of your hands. “Location Insights” include GPS details, Field Tips, Camera Settings, Weather Details, and much more vital information needed for capturing perfect photos. It works by selecting the best photo locations taken by professional photographers, gives you the specification of their camera, and guides you by showing exact details to find stunning locations that have been taken by others. This application allows you to see exact GPS coordinates including detailed directions to where a photographer stood for a picture that you love. It also gives you other invaluable information such as when the lighting will be best to take a picture, what the weather will be like, and tips specific to each location. Although this application currently only offers location insights for Singapore, the application is still available around the world, putting the writing on the wall that this application will be making some big moves soon in the industry and is looking to expand to more locations ASAP. Tells you exactly where to go to take a perfect shot, including detailed directions. Currently only has location information in Singapore, but expanding soon. Tells you specifically what you need to do to mimic a professional grade shot, giving you a prime example and the camera specifications used to take it. Advanced weather predictability, including best times for lighting, sunrise and sunset times. Also works partially as a travel guide, helping you not go to the same place twice and giving suggestions on where you should go. This app also has the intuitive ability to sense where you have been in a city so that you don’t accidentally visit the same place twice, but that’s not all. This application will also give you an idea of any nearby sights, coffee shops, or restaurants that you might enjoy. If that wasn’t enough, it also gives the ability to save your location and settings so that you can keep exploring offline. Considering the wide array of features that simply are not offered by most photo applications, this is easily the best photo app in 2019. As the support for this app continues to grow outside of Singapore, it is likely that this will become a very popular application for photographers of all skill levels. The only thing holding this application back from a full 5-star rating is the fact that it only has location insights for Singapore. The app will be expanding to new locations very soon and is already available for download worldwide right now. For more information from the app developer, check out their website. Searching for the best photo applications 2019 has to offer is not always an open-shut case. There are many variables that can occur which can change the market within what is now the best photography apps, and then turn it upside down. Unless there is a massive breakthrough and people develop a new groundbreaking application which can overshadow it, I highly recommend trying out Explorest App even if you aren’t planning on visiting Singapore anytime soon. With it’s wide variety of unique features that are sure to make any professional photographer joyful, this is easily one of the best photo editing applications on the market, and it’s only going to grow! Tagged best photo applications, best photo apps, best photography applications, best photography apps, best pictures apps.